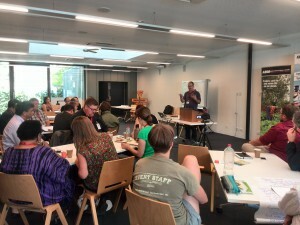 Anglican Alliance and the Anglican Board of Mission Australia held a Young Anglican Forum which form part of ‘Life in Abundance” – An Anglican Conference on Mission & Evangelism in Melbourne on the 8th -13th of February 2016. Joining a global movement, I was invited to the conference to present at the Ash Wednesday Climate Justice Forum on how the Anglican Church of Southern Africa has responded to climate change. A round table setting with representatives from different dioceses of Australia and guests from other provinces graced the day, beginning with an overall statement from Andy Bowerman from Anglican Alliance. He talked about the importance of working together in the Anglican Communion to curb climate change. People from different parts of the country stated their experiences and how they are finding solutions to their challenges. The youth also expressed their concerns about their future, concluding on a few actions plans that will grow their youth ministry and care for creation. I presented what Green Anglicans in Southern Africa has done and our plan of action for the future, especially for young people. 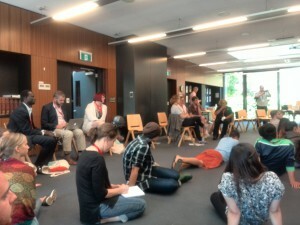 The attendees had were given time to discuss in a World Café style on what they have learned and draw up a plan of action for their province and different ministries within the Anglican Church of Australia and they presented in groups. I also had an opportunity to present in one of the sessions during the wider conference alongside Andy Bowerman and Tagolyn Kabakabe from Anglican Alliance. Brad Chapman, the education manager for Anglican Board of Mission Australia and his team invited a number of people who are working tirelessly in the Anglican Church to develop ways of cutting down our carbon foot print, to share ideas and strategies as well as discuss how the Anglican Church should respond to the challenges posed by climate change, unanimously agreeing that it should be a key priority of the church in our time.